As we approach father’s day, it might be useful for you to look at how your relationship with your father has affected your life. Although mothers get much of the credit for raising and nurturing kids, don’t fool yourself about the importance of your father. Whether he’s alive or dead, his influence has been extremely important to your self-worth, how you handle pressure and stress, how open or closed you are to other people, how you parent your own children, how self-protective you are, how lovable you feel and how well you love. Here are a series of questions designed to assist you in determining your dad’s influence on your life. Some of these questions have been adapted from Jasmin Lee Cori in her book The Emotionally Absent Mother. What did/does it feel like to be surrounded by your father’s energy? How did your father relate to you as an infant or a small child? Did you want to be like him, or did you want to be as different from him as possible? If someone said to you that you were just like your father, would you consider that a compliment? 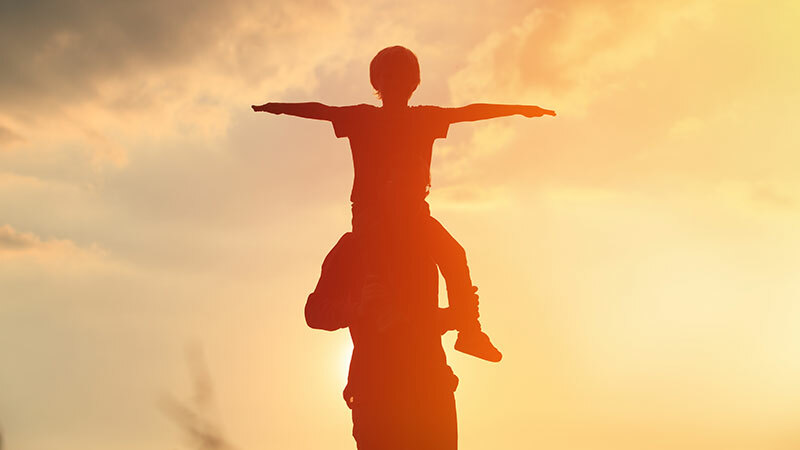 Did your dad ask you, directly or indirectly, to compensate him for an unhappy marriage, a rough childhood, a failed or disappointing career, a divorce or other traumas or setbacks? Did dad like you? Did he love you? Was he able to show it? How critical or judgmental was he of you? Were you shamed or called names, or was your self-esteem attacked? On a scale from 0-10, how connected did you feel to your dad growing up? As a teen? How has this changed throughout your life? How well were your needs and emotions tended to by dad? Did he spend enough time and attention on you? Was he nurturing to you? Was he attentive and available, or was he absorbed elsewhere? Was your dad in charge of his own negative emotions? Was he angry a lot? Unfaithful? Abusive? Drunk? Mean? Did he dole out severe physical or emotional abuse to you or others in your family? When your father married your mother, how prepared was he to be married and raise a family? Had he grown up himself? Did he have effective relationship skills and competence in resolving conflicts? How did your dad feel about himself as a man? Did he like being a father? How did his attitude about your mom affect the way he treated you? In which ways was your father most engaged in mentoring you? We didn’t know it when we were young, but our parents disengagement, lack of affection and lack of love—if it was there—was not about us. It was about them not knowing how to love. It was about their lack of effective relationship skills, their addictions and their own poor self-esteem. Much of this translates into how lovable you feel today.